Result : Rangpur Riders won by 6 wickets. Player of the Match : Farhad Reza (Rangpur Riders). 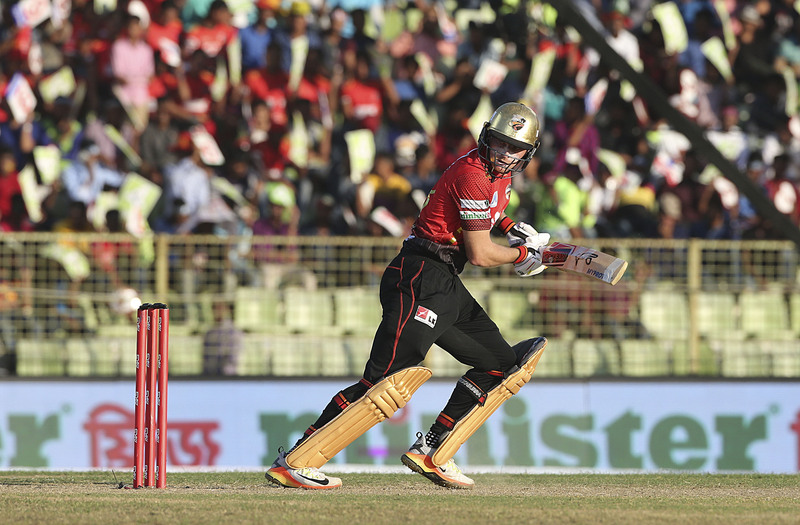 Rangpur Riders just can’t stop winning as they have clinched fifth victory in a row with another easy 6-wicket win over Rajshahi Kings in BPL 2019. This win also confirms their place in the play-offs. Currently Riders are at the top of the table with 14 points from 11 matches. Batting first, couple of Kings top order batsmen got the start but failed to score big as they lost 6 wickets for 96. Top scorer Laurie Evan’s 35 and Qais Ahmed’s 22 helped them posting a total of 141 for 8 in 20 overs. Player of the match Farhad Reza grabbed 3 wickets for 30. Chasing 142, Kings skipper Mehidy Hasan Miraz gave his side a early breakthrough with the wicket of Chris Gayle. In form batsman Alex Hales too gout out cheaply for 16. But tournaments highest scorer, Rilee Rossouw struck a 55-run knock to give Riders a comfortable win. He was well supported by centurion of previous match AB de Villiers, who chipped in with 37 as Mashrafe’s side won the match with 6 wickets and 8 balls remaining. Miraz was the most successful bowler for the Kings with 1 wicket for 24.